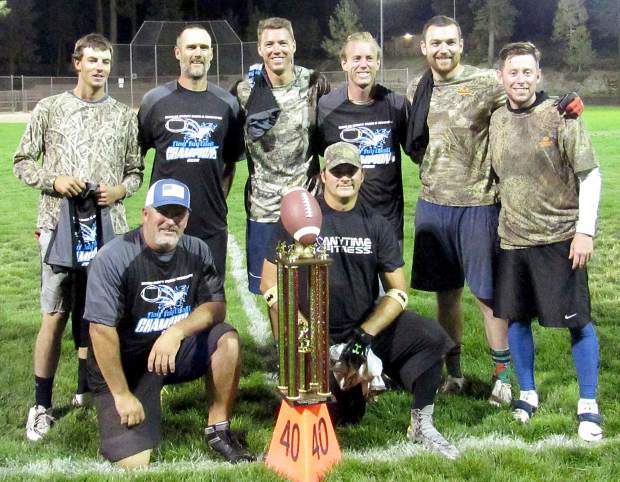 First Order claimed the Douglas County Parks and Recreation Department’s adult 6-man flag football championship. 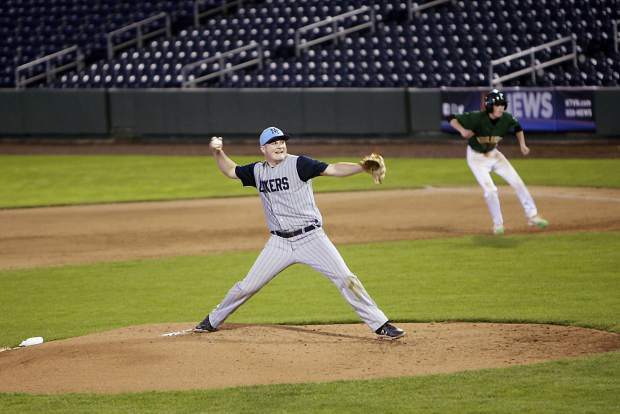 First Order went through the season undefeated (9-0) and dominated both playoff games to win the title. First Order defeated Pick 6 62-24 Aug. 22 in the semifinals and later that night defeated Harrah’s Lake Show 34-19 in the final. Harrah’s finished 6-3, Fat Kids was 5-4, Pick 6 was 4-5, Fish was 2-6 and Black Mambas was 0-8. First Order is (back row, from left) Nick Nalder, Justin Lewallen, Nick Lonnegren, Anthony Lonnegren, Seth Gardner, Chris Downs, (front row, from left) Casey Dallaire and Richey Nalder.